Story: Reigning champion Jean-Eric Vergne took his first win of Season 5 of the ABB FIA Formula E Championship in the home race for his Chinese-backed DS Techeetah team at the Sanya E-Prix – the sixth different winner in the first six races. The Frenchman has had a terrible start to his title defence and was pointless in the previous three races leaving him 11th in the ABB FIA Formula E Drivers’ Championship coming into China – but a resounding victory lifted him back into title contention. 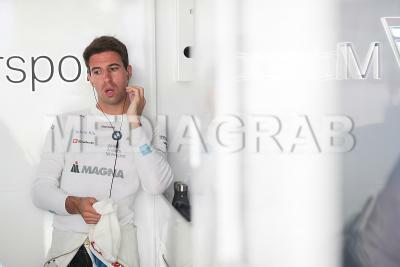 The first-half of the season’s incredible streak of unpredictable results has blown the Championship wide open with BMW i Andretti Motorsport’s Antonio Felix da Costa now leading – after a third-place finish in Sanya - but with the top six separated by just ten points after finishing third. Nissan e.dams’ British rookie Oliver Rowland produced his best Formula E drive to qualify in pole for the first time but was unable to hold off Vergne and had to settle for second-place – his first podium in the Championship. Previous Driver’s Championship leader Sam Bird had his worst day of his Season 5 after qualifying in 16th and then retiring from the race after just a couple of minutes following a collision with Stoffel Vandoorne. 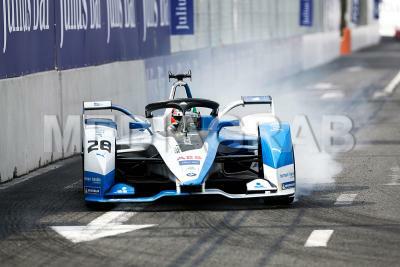 Lucas di Grassi had a difficult day after failing to activate Attack Mode twice – showing that even after 51 races Formula E can still throw up unexpected challenges – and recovering to raise to sixth only to be t-boned by Robin Frijns on the final lap. Sebastien Buemi produced the drive of the day after a technical infringement in qualifying saw him start from the pit lane. The Swiss former Champion carved through the grid to rise 16 places and finished in sixth position. variety of challenging circuits in 12 cities - across five continents - in a bid to be crowned champion. days on July 13 & 14.